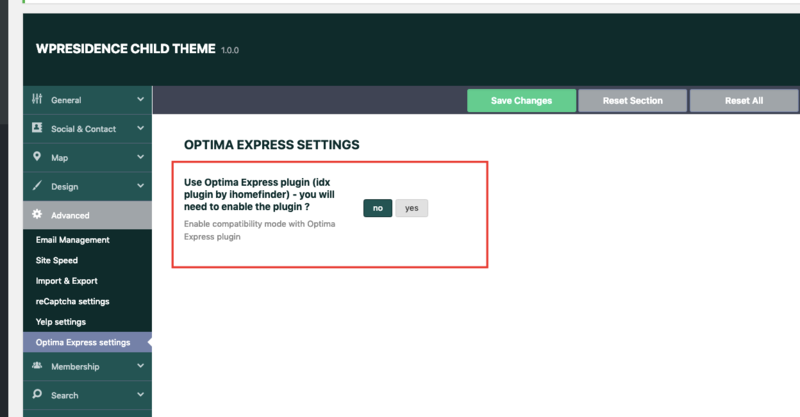 From 1.16 update Wp Residence has a new option in Theme Options for clients who wish to install separately iHomefinder Optima Express IDX plugin. 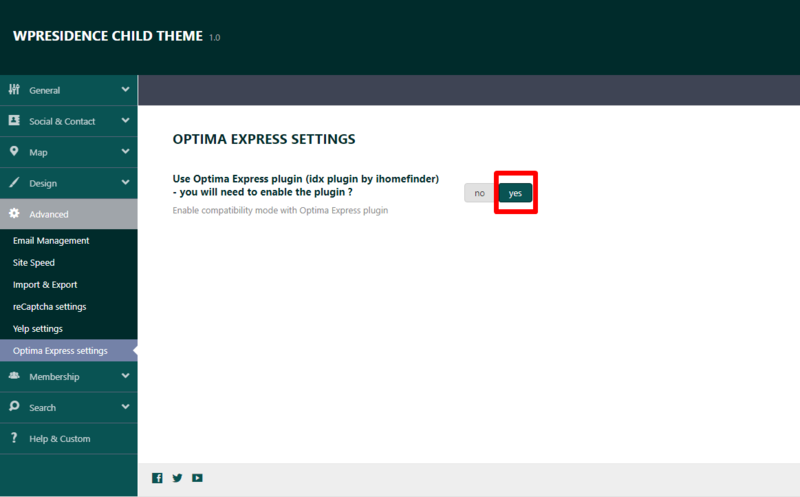 SUPPORT means you can use the plugin as it is with the theme, without conflicts. The properties added through the plugin can be managed only with plugin features, options etc. Before this update, who needed to use the plugin with the theme couldn’t because of bootstrap conflict. We only solved this conflict.